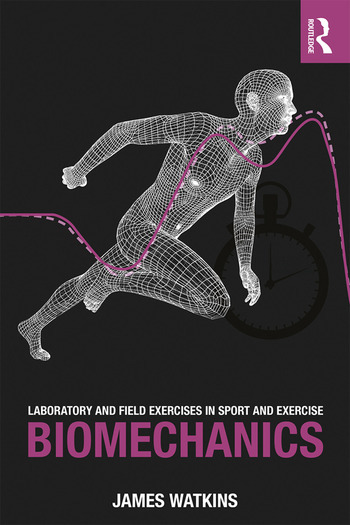 Laboratory and Field Exercises in Sport and Exercise Biomechanics is the first book to fully integrate practical work into an introduction to the fundamental principles of sport and exercise biomechanics. The book concisely and accessibly introduces the discipline of biomechanics and describes the fundamental methods of analysing and interpreting biomechanical data, before fully explaining the major concepts underlying linear kinematics, linear kinetics, angular kinematics, angular kinetics and work, energy and power. To supplement chapters, the book includes nineteen practical worksheets which are designed to give students practice in collecting, analysing, and interpreting biomechanical data, as well as report writing. Each worksheet includes example data and analysis, along with data recording sheets for use by students to help bring the subject to life. No other book offers students a comparable opportunity to gain practical, hands-on experience of the core tenets of biomechanics. Laboratory and Field Exercises in Sport and Exercise Biomechanics is, therefore, an important companion for any student on a Sport and Exercise Science or Kinesiology undergraduate programme, or for any instructors delivering introductory biomechanics classes. 1. Linear kinematic analysis of a 15m sprint. 2. The effect of increase in speed on stride length, stride rate and relative stride length in running. 3. Determination of the coefficients of limiting friction and sliding friction between shoe soles and playing surfaces. 4. Force-time analysis of the ground reaction force in walking. 5. Force-time analysis of the ground reaction force in running. 6. Linear impulse analysis of the ground reaction force in running. 7. Linear impulse analysis of the ground reaction force in a countermovement vertical jump. 8. Comparative linear impulse analysis of the ground reaction forces in countermovement vertical jumps with and without an arms swing. 9. Linear impulse analysis of the ground reaction force in a standing long jump. 10. Determination of reactive strength index in rebound vertical jumping. 11. Hip and knee angular kinematics of a penalty kick in rugby. 12. Determination of the position of the whole-body centre of gravity by the direct method using a one-dimensional reaction board. 13. Comparison of the direct and segmental analysis methods of determining the whole-body centre of gravity of the human body. 14. Determination of take-off distance, flight distance, and landing distance in a standing long jump. 15. Measurement of the moment of inertia of the human body. 16. Determination of human power output in stair climbing and running up a slope. 17. Determination of human power output in a countermovement vertical jump. 18. Determination of the reliability of distance jumped in a standing long jump. 19. Determination of the concurrent validity of distance jumped in a standing long jump as a predictor of peak instantaneous power output in a countermovement vertical jump. James Watkins is Professor of Biomechanics in the College of Engineering at Swansea University, UK.